Liuzhou has a wide choice of accommodation, ranging from 4 and 5 star hotels through more economic, but less well equipped hotels all the way down to cheap (but not necessarily cheerful) guesthouses. For long term hotel stay, the four or five star hotels are the main choice. We have not given rates as these change all the time and various discounts apply depending on length of stay etc. Often travel agents or internet booking services can obtain better prices, too. All hotel websites have English unless noted otherwise. 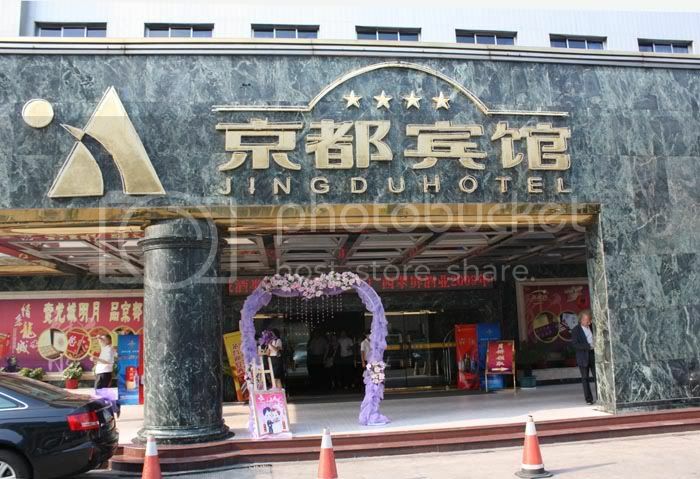 It is no longer Liuzhou's only 5 star hotel, and do remember it is owned by the same people who award the stars! The hotel has been upgraded several times and remains one of the cities top venues. 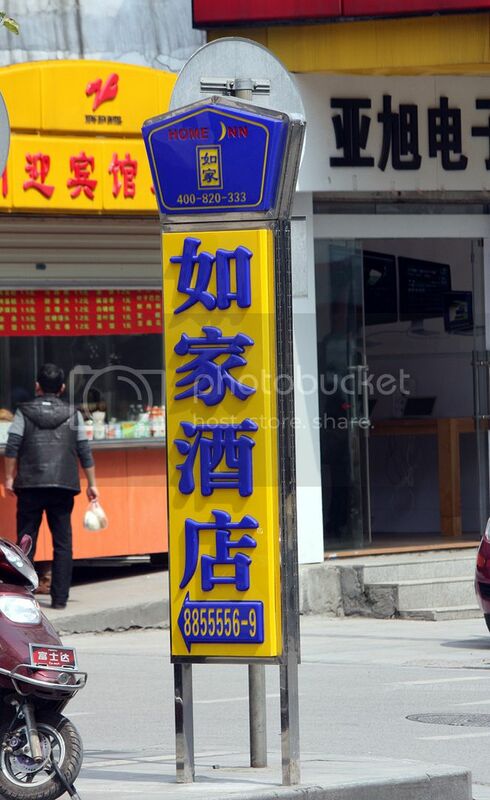 Aside from a number of Chinese restaurants, Liuzhou Hotel also has what it thinks is a Western Restaurant (mainly steaks) and a few staff who think they speak English. Do pick up a copy of their in-house magazine for the hilariously inept translations. The hotel is set in attractive gardens in a relatively quiet corner, close to the city centre. It is popular with medium to long-term foreign visitors and provides the services one would expect from such an establishment, including business and internet services. 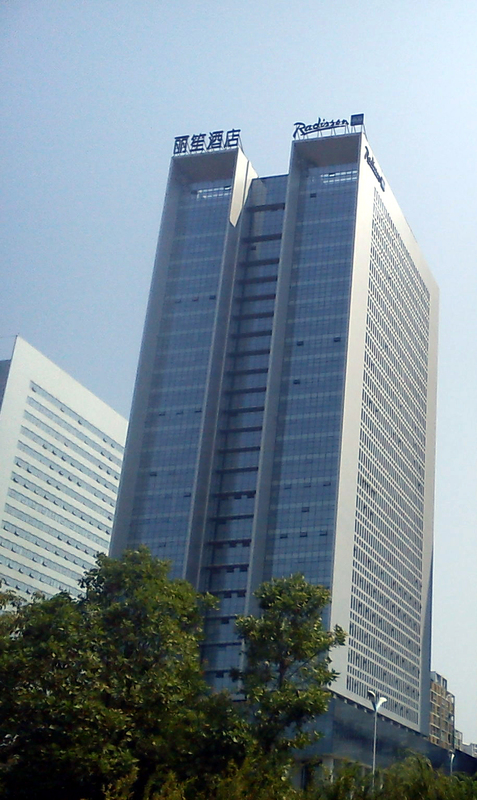 The Radisson Blu, Liuzhou is in the newly developed eastern side of the city, next to Liuzhou Government HQ and the Citizens Square. This is a popular choice for business visitors and the better heeled travellers. It offers all the facilities you would expect from an international 5-star hotel, including spa and swimming pool and a number of restaurants and bars. All rooms have free wifi, etc. 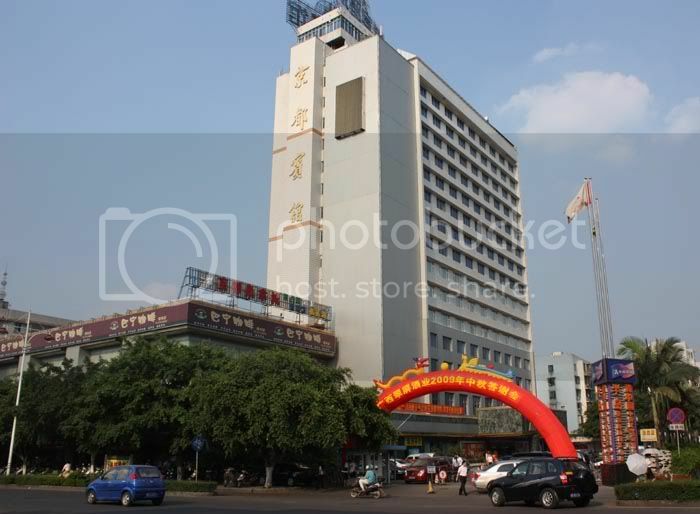 The Lijing Hotel has long been a favourite among medium term residents. 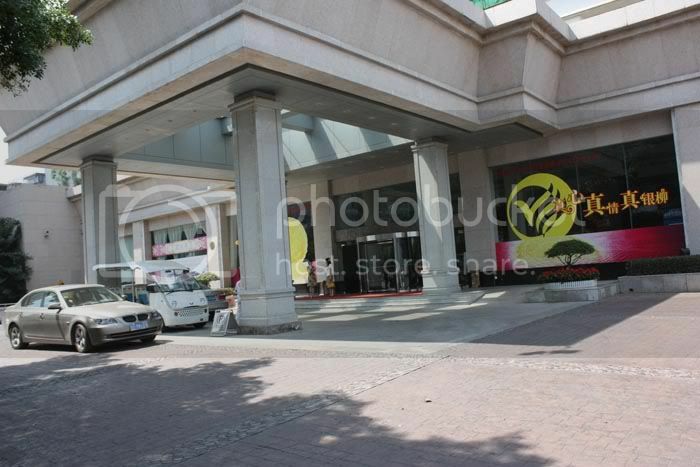 More modern than Liuzhou Hotel, more recently opened and somewhat more relaxed, the hotel is very central. There is what they call a western restaurant on the first (ground) floor. The buffet breakfasts are OK, but I'm sure most other food is cooked by someone who has never seen western food outside a picture book. Not recommended. The Jingdu is an old favourite with returning expats. Located just to the north of the city centre, the hotel has all the features one would expect of a 4 star hotel. 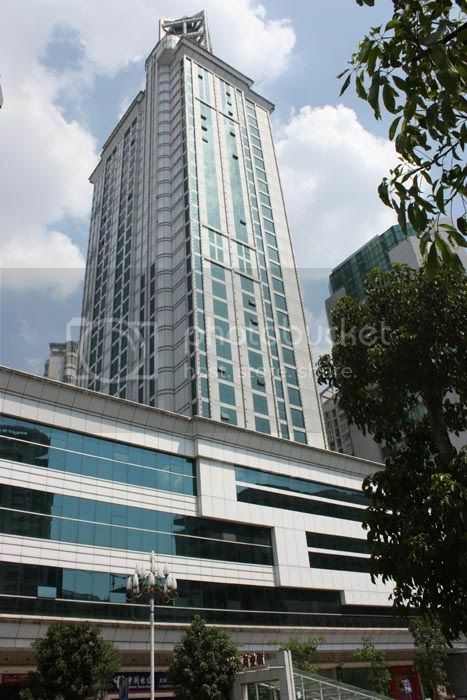 It also has serviced apartments. The first floor restaurant offers fixed price all-you-can-eat evening buffets of western food and pan-Asian food. The attached coffee shop is less good. 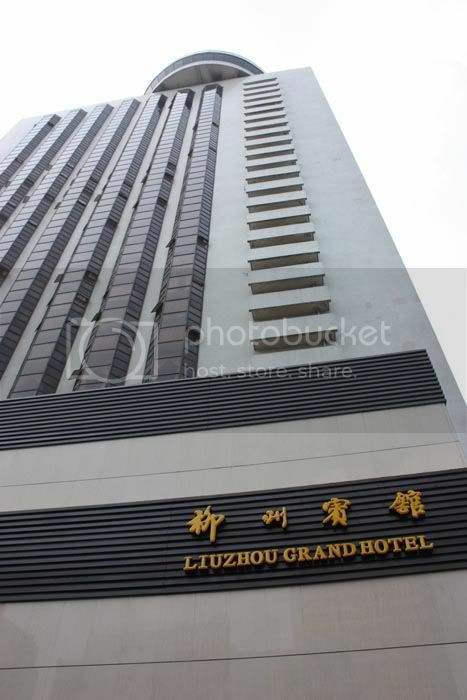 Liuzhou Grand Hotel, more commonly known by its Chinese name, Liuzhou Binguan is a three star hotel bang in the centre of town. despite the three star rating, it has delusions of grandeur, but isn't a bad place to stay, especially if you want to be right on top of the evening action in the nearby pedestrian streets. A literally 'top' attraction here was the 30th floor revolving restaurant which takes one hour to revolve giving a bird's eye view of the city. The food isn't anything special, but it is was worth doing once for the view. Recent development in the area has now blocked most of the interesting parts of the view. The place does still get very busy, especially in the morning (morning tea and dim sum) and evening. Booking is advised. Despite having a huge sign on their wall giving the website address, the link is broken. 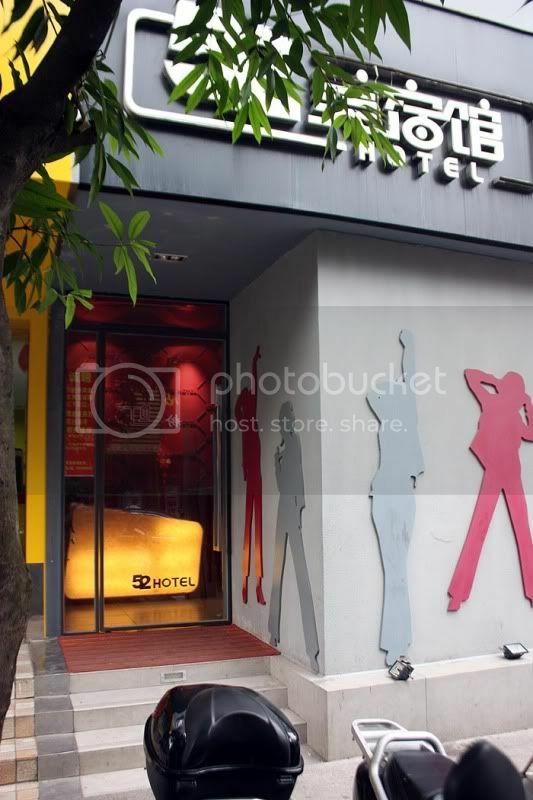 This small hotel is located to the north of the city centre, on a pleasant tree lined street. Rooms are average, but good value at ¥110 for a standard room and ¥280 for a suite. Rooms have air-conditioning, television and Internet access. Chinese credit cards accepted. Located on a relatively quiet street in the city centre, this boutique hotel with designer rooms is popular with young Chinese tourists. Modern, fashionable rooms are priced at ¥180 for standard rooms and ¥380 for suites. Rooms have air-conditioning, television and Internet access. Chinese credit cards accepted. 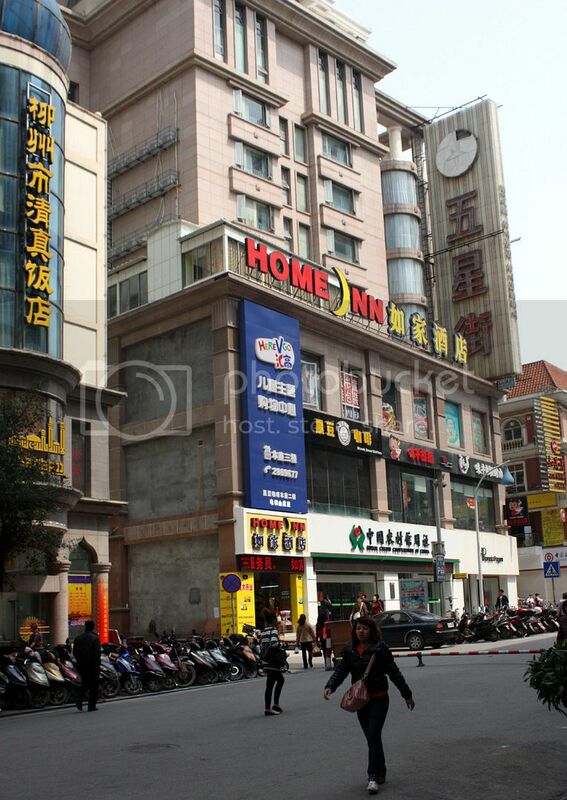 The Home Inn group is one of China's largest budget hotel chains with over 1,500 hotels in over 200 cities. Liuzhou has two. 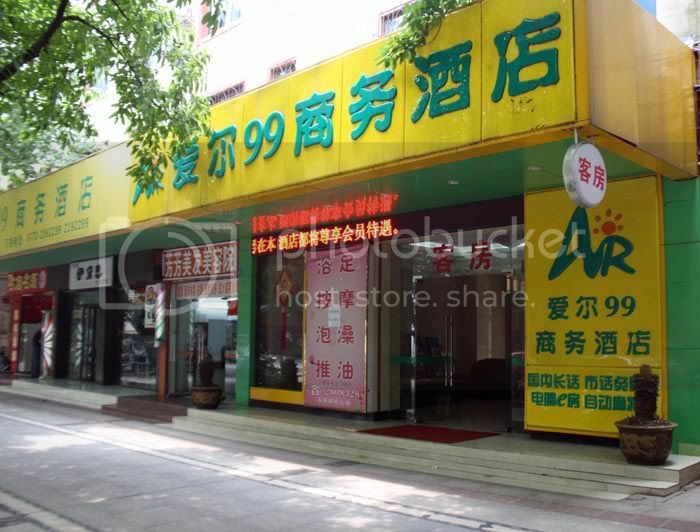 The first is on Zhongshan Donglu in the heart of the city, literally a minute away from Liuzhou's main shopping area. 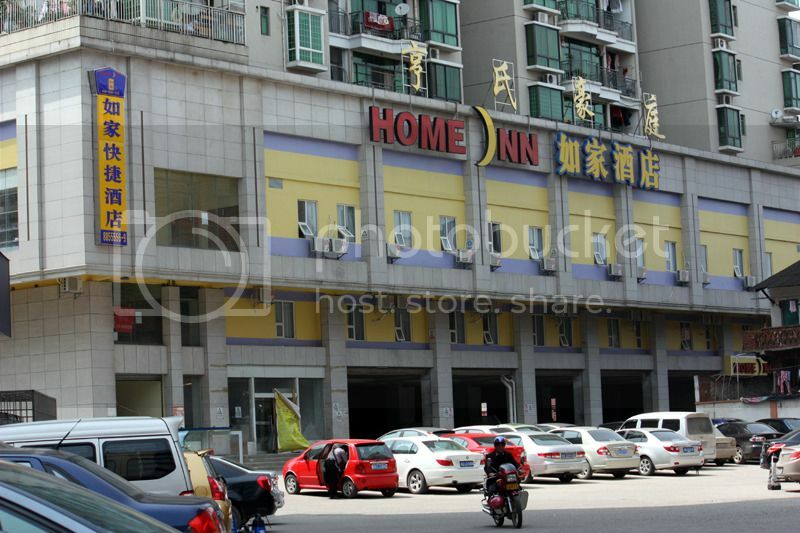 It is also close to many reasonable restaurants and much of Liuzhou's night life. This may or not be an advantage. The second, newly opened, branch is in a much quieter location on at the southern end of San Zhong Lu. It is set back from the main street but is well sign posted. Both do rooms from ¥139 to ¥199 per night.